Kabul can win battles, but it will never win the war unless it disrupts the Taliban’s major funding source: poppies. 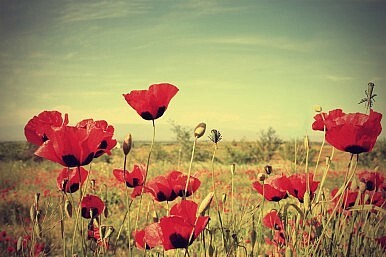 The month of April is when poppy will be harvested in Afghanistan. In 2014, the poppy plant in 2014 was Afghanistan’s biggest export, valued at $2.8 billion or 13 percent of the country’s GDP. The Taliban has in recent months upped their offensive in the southern provinces, such as Helmand, where poppy is grown in order to secure the harvest for themselves. Subsequently they will smuggle the poppy out of the country and use the money to fund their insurgency. The Afghan government, along with the United States, needs a serious rethink of its counternarcotics program, including it as a part of its larger counterterrorism strategy. Failure to do so for so long has resulted in the resurgence of the Taliban, making 2015 “bloodiest” year of fighting since 2001, with the highest number of Afghan security force and Taliban casualties. The Taliban have mastered smuggling poppy through Afghanistan and into Iran and Pakistan, supplying 90 percent of the world’s illicit opiates. The pods on the poppy plant produce opium in its purest form, which is later refined into heroin and sold across the world. In 2014, an average poppy farm in the southern province of Helmand yielded 19 kilograms of opium per hectare, according to the United Nation Office on Drugs and Crime (UNODC), with a selling price of $200/kg. There is no clear estimate as to how much of the Taliban’s income comes from opium. However, one estimate is that the group receives more than one-third of its income from direct taxes it levies on poppy farmers, tolls at checkpoints, and shipment protection fees from truckers, making anywhere from between $100 million to $300 million in a single year. Kabul has been losing the war against the Taliban in the southern, poppy-rich part of the country. In Helmand, which yielded almost half of Afghanistan’s entire opium harvest in 2014, the Taliban currently control five out of the 14 districts. In two other districts, they control most of the territory except the government centers and they are active in at least four other districts, thereby giving them a foothold in more than half of the province. Helmand has seen some of the fiercest battles between the Taliban and foreign and government forces since 2001; it is the province which has recorded the highest number of coalition troop deaths since 2001. As the Taliban wrestles control away from the government in parts of the province, they have also steadily gained greater access to the poppy fields. The national unity government in Afghanistan has been failing at controlling the Taliban upsurge. With the Taliban temporarily getting hold of major cities like Kunduz, in the north of the country, the government has focused its operations solely on military engagement with the group. According to a report from IRIN, fighting against the Taliban has led Kabul to transfer 32 helicopters from the counter-narcotics police to the military. In addition, the military disbanded a battalion of 850 soldiers who had been assigned to poppy eradication after the United States stopped its funding. This highlights a serious flaw in the government’s counter-narcotics policy. The government cannot afford to prioritize one war with the Taliban over the other. The fight against narcotics is extremely vital to win, provided the Afghan government is serious about restricting the Taliban’s funding network. They must also look inward and eradicate corruption within the government as some parliamentarians, provincial officers, middlemen, and policemen also reap their own benefit from the opium trade by turning a blind eye to what is happening in their province or receiving payoffs in return for lax controls on flow of Taliban money. The inability or lack of political will to address these issues will only result in the government winning battles, but losing the greater war. Poppy harvest and smuggling will provide the Taliban will the millions of dollars it requires to fund its campaign to destabilize the state. The United States on the other hand, must include counter-narcotics as part of its broader counterterrorism strategy. The ‘narco-economy’ in Afghanistan has funded the Taliban insurgency for decades, and will continue to fund it unless there is joint cooperation between Washington and Kabul in dealing with the issue. Washington needs to recalibrate its counternarcotics initiatives and funding to control opportunities and incentives for production inside Afghanistan and disrupt the networks of smuggling and free cash flow that have made opium trafficking so lucrative. While the Obama administration has rightfully defunded central-led eradication schemes, it must also investigate problems with the alternative livelihood assistance programs that have failed in southwest Afghanistan. In redrafting a counternarcotics policy with the Afghan government, the United States must provide adequate funding for long term programs in alternative livelihood programs and microfinance assistance to opium farmers. It must also further mobilize the private sector to work with the government to provide help to the farmers in Helmand and other provinces. It must not forget, and must continue to remind the Afghan government, that fighting the Taliban also means disrupting their financial architecture, of which opium contributes the largest chunk. The cartel-like actions of the Taliban have contributed to a severe destabilizing of the Afghan economy and rule of law. In the same light, the economic failings of the Afghan state have contributed to the flourishing of the drug industry, and the political failings of Kabul have resulted in strengthening the Taliban insurgency. Countering opium production should therefore be viewed as a long term endeavor; one that requires the Afghan government to work toward eradicating poverty, tackling corruption, and providing adequate security across the country. With the help of U.S. funding and assistance, it must train and equip Afghan forces to run counternarcotics operations and coordinate efforts to receive and share intelligence information across poppy rich provinces. By not underestimating the threat that poppy cultivation poses, the Afghan government must stifle Taliban’s finance networks in order to gain the upper hand in their seemingly never-ending war. Otherwise, they are in for bloody spring. Kriti Shah is a Research Assistant at the Observer Research Foundation, New Delhi. A visit to Afghan opium fields challenges the notion that the Taliban controls the lucrative trade.